Ground adjustable aluminum spotlight unique design and high lumen output delivers optimal light distribution. Easy adjust to any lighting angle with our design.Can be used and install OR in ground OR on wall OR on ceiling. 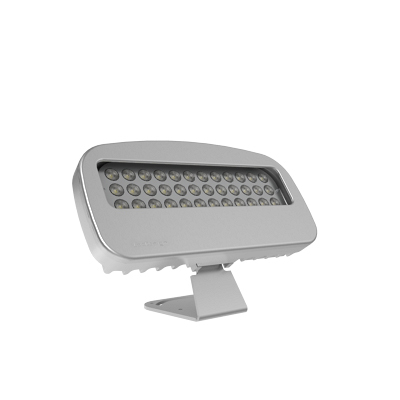 Outdoor and Indoor suitable for a wide range of lighting tasks, such as wallwash for efficient lighting of facade sur-faces as well as garden trees or pathways, best to identify & show architectural lines. Rich color lighting can create dramatic changes in atmosphere with our RGB option. Our Led deliver extremely long life, impact resistance and low energy consumption. Made of Aluminum CNC processed, with Natural Anodize Coating. Rating of IP67 and tempered glass ensure resistance to weather such as heavy rain, snow and ice. Rich color lighting can create dramatic changes in atmosphere with our RGB option. All Led Design products are manufactured under high standard in our high tech facility. Led Component Edison - Edixeon S-series 3 watt. Lumen Cool White - 1140Lm.